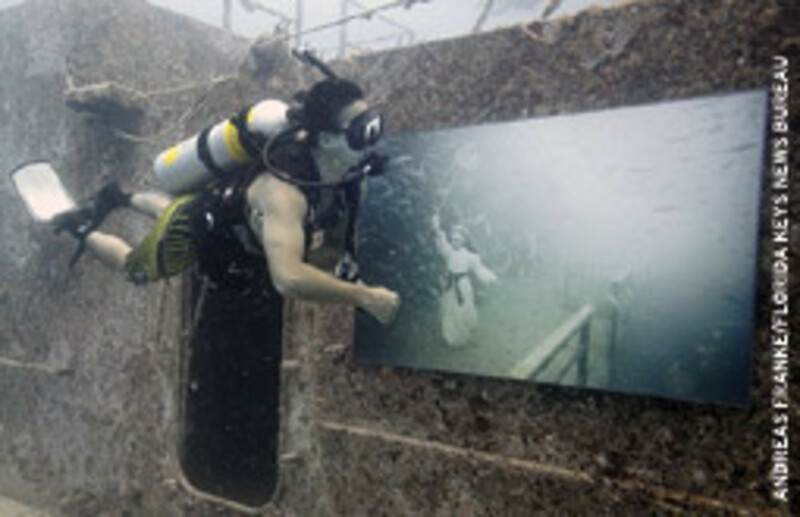 An underwater art exhibit has opened on a former Air Force missile-tracking ship sunk as an artificial reef in the Florida Keys National Marine Sanctuary seven miles south of Key West. Austrian photographer Andreas Franke is exhibiting a dozen images on the Gen. Hoyt S. Vandenberg, which was scuttled in May 2009. The 4-by-5-foot photographs, mounted in stainless-steel frames sealed with silicone, stretch along 200 feet of the starboard side of the 523-foot Vandenberg’s weather deck, 93 feet below the surface. Franke photographed the wreck last year. He digitally added elements to the images to create the whimsical artwork. One picture depicts a girl wielding a butterfly net and trying to capture fish. In another, kickboxers seem to compete adjacent to one of Vandenberg’s iconic tracking dishes. Joe Weatherby, the Key West resident who conceived and spearheaded the sinking of the Vandenberg, hopes the exhibition can remain in place through the end of the year. The ship is so large that the top of its superstructure is only 40 feet below the surface. It is the second-largest vessel ever intentionally sunk as an artificial reef. After 82 years of continuous operation in New York City, the venerable Sparkman & Stephens design and brokerage firm has relocated to Greenwich, Conn. Established in 1929 by brothers Olin J. Stephens and Roderick Stephens Jr., S&S has completed more than 2,700 pleasure, commercial and military designs. Bruce R. Johnson, president and chief designer, says the principal motivation for the move is to be closer to the sailing communities and boatyards of Long Island Sound and New England, where many of its clients spend their leisure time, and moves the office closer to the S&S office in Newport, R.I. The U.S. Environmental Protection Agency and the New York Department of Environmental Conservation announced Sept. 6 that a 760-square-mile area of Long Island Sound is now a no-discharge zone. 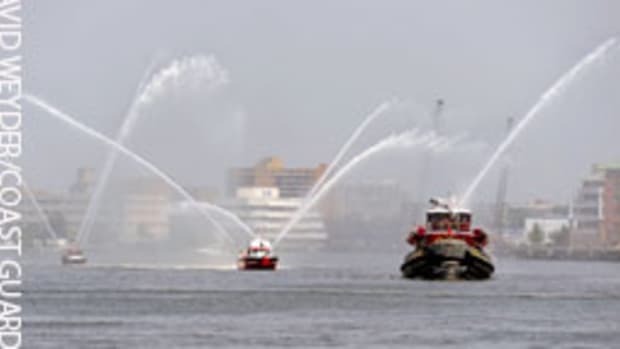 The EPA reviewed the New York agency’s proposal to establish an NDZ for New York areas of Long Island Sound and determined that there are adequate pumpout facilities for boats. 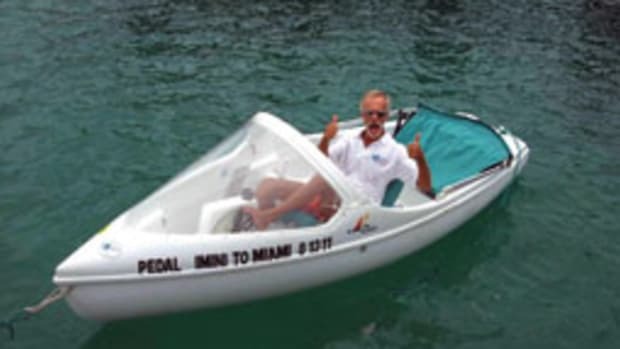 Boaters must now dispose of sewage at designated pumpout stations. The NDZ designation for those New York waters will create one comprehensive policy for discharges. Connecticut has jurisdiction over half of Long Island Sound and previously designated its portion a no-discharge zone. The NDZ includes the open waters, harbors, bays and navigable tributaries of the Sound and a portion of the East River from the Hell Gate Bridge in the west to the northern bounds of Block Island Sound in the east. The waters of Mamaroneck Harbor, Huntington-Northport Bay Complex, Port Jefferson Complex, Hempstead Harbor and Oyster Bay/Cold Spring Harbor Complex were previously designated as no-discharge zones. A federally protected loggerhead turtle was released off the Florida Keys after recovering from a spear-gun shot to its head. 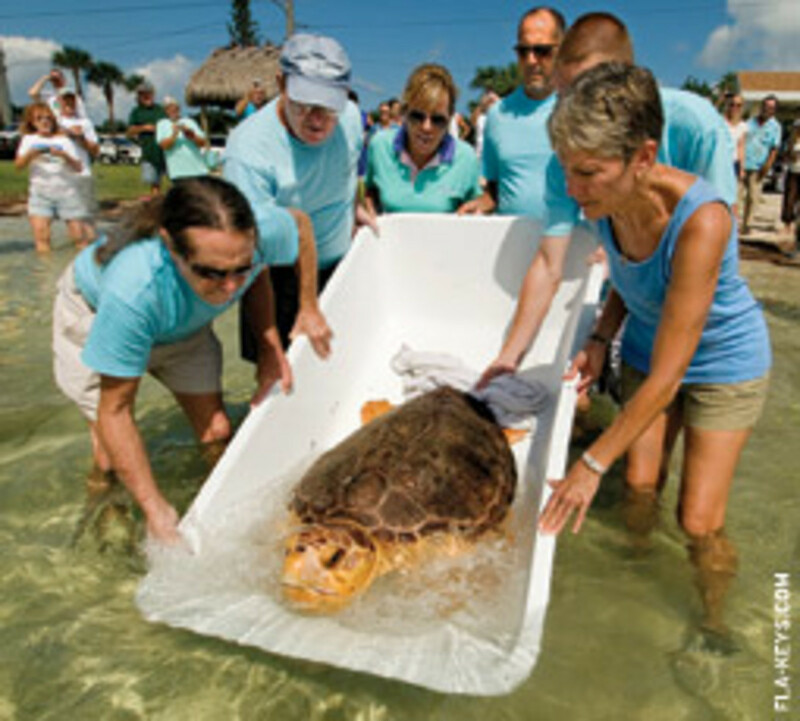 Cheered by spectators, the staff and volunteers from The Turtle Hospital in Marathon released the 115-pounder near the Seven Mile Bridge. Officials from the National Marine Fisheries and the Florida Fish and Wildlife Commission have launched a criminal investigation. They hope to be aided by donations from Keys residents and business owners who contributed to a reward for tips leading to the arrest and conviction of whoever was responsible. More than $16,000 has been raised, plus services that include fishing and dive trips and eight hours of free welding by a local tradesman. The National Oceanic and Atmospheric Administration plans to move a weather buoy that is about 35 miles east of Nantucket Island to an area off Cape Cod, a shift of about 45 miles. The Coast Guard has requested that the National Buoy Center move buoy 44018 on or around Oct. 15. The Coast Guard says the new location — around 10 miles off Truro, Mass. — will help improve response times during rescues and will provide an excellent sampling of northeastern swells across the Gulf of Maine and eastern swells from Georges Bank. 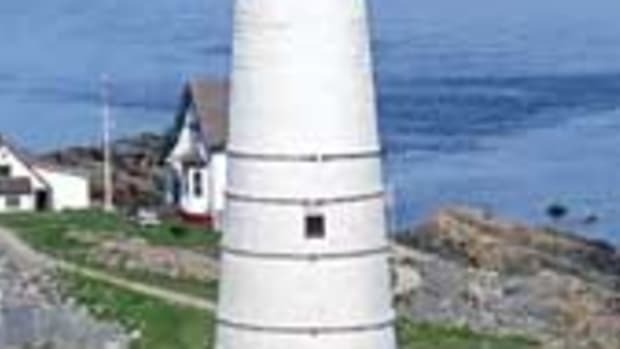 The location would place the buoy in a more heavily traveled area, which would help the National Weather Service provide improved services along Northeast coastal and offshore waters. The 10-by-15-foot yellow buoy gives real-time data on wind speed, wave height and direction, atmospheric pressure, and air and water temperatures. The data are available free at the National Data Buoy Center website at www.ndbc.noaa.gov. The Museum of Yachting’s 32nd annual Classic Yacht Regatta, sponsored by Officine Panerai, was held Sept. 2-4 in Newport, R.I., wrapping up the final segment of the second annual North American Panerai Classic Yachts Challenge. A teen-strength southerly and mostly sunny skies prevailed for most of the weekend, creating dramatic sailing on the choppy waters of Narragansett Bay for the circuit’s finale. 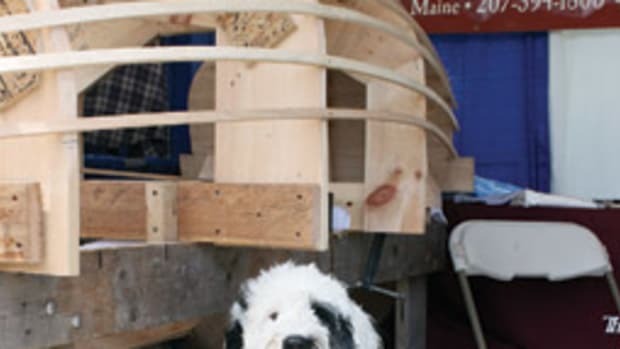 The event drew 55 boats from the region, and among the winners was Valiant, a 12 Meter designed by Olin Stephens and built in 1970, in the Classic division. 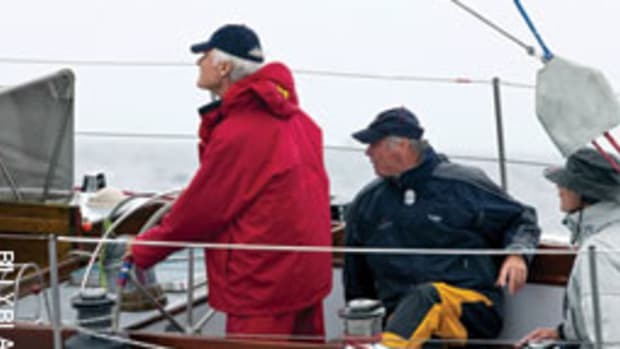 A week later in Westbrook, Conn., the Leukemia Cup Regatta off the Connecticut shoreline on Long Island Sound raised more than $65,000 to support the Leukemia & Lymphoma Society’s mission to cure leukemia, lymphoma, Hodgkin’s disease and myeloma. 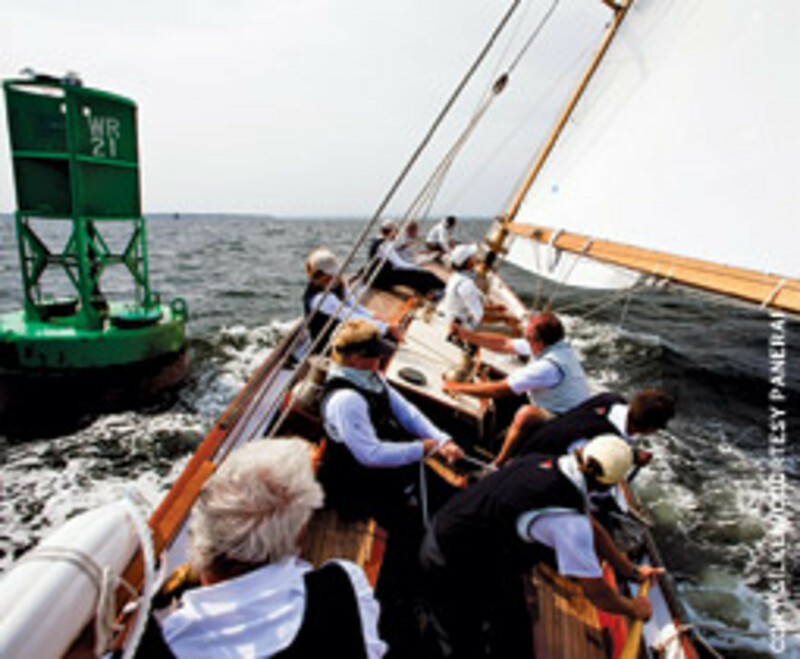 In late August, the Knickerbocker Cup was raced out of New York’s Manhasset Bay Yacht Club under light winds. Ironically, the plug was pulled on the regatta by Tropical Storm Irene, which blasted through the area on what would have been the final day of racing. 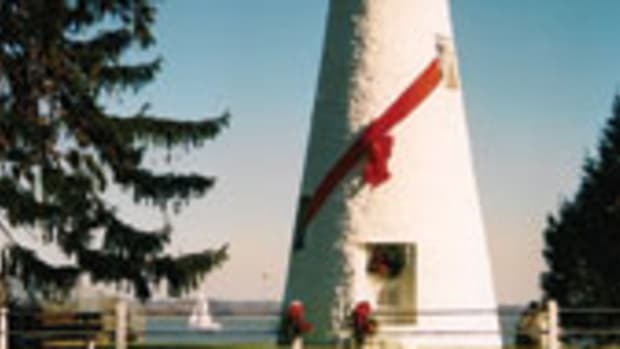 Maryland’s Pooles Island Lighthouse, said to be the oldest lighthouse on Chesapeake Bay, was lighted earlier this year for the first time in seven decades. 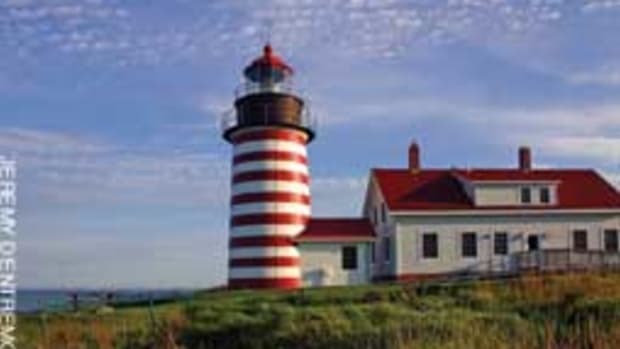 The beacon, in the northwest portion of the Upper Bay, was reclaimed by the Army’s Aberdeen Proving Ground, which chose the light as a symbol for the region. 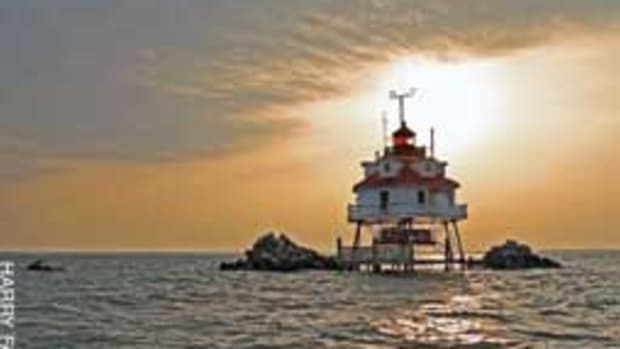 The Army and local preservationists have joined to further restore the beacon, which serves as a private aid to navigation by the mouth of the Gunpowder River. The light was outfitted this year with solar panels, and it sends a signal of four flashes, a pause and then three flashes to guide mariners. There are plans to replace the mahogany door at the entrance and make other repairs to the tower. The lighthouse is not open to the public.